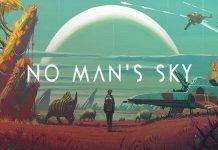 No Man’s Sky is on its way, and in only two weeks, some of you will be playing the space exploration game, trading, fighting, and above all, finding new planets. The game’s release date has been set to August 9th and August 10th in North America and Europe respectively (PS4 only), while the PC release is scheduled for August 12th worldwide. 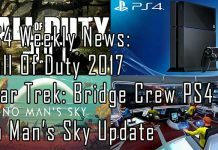 If you’re still on the fence about whether or not to get the game, here’s some intel on what to expect from the game. 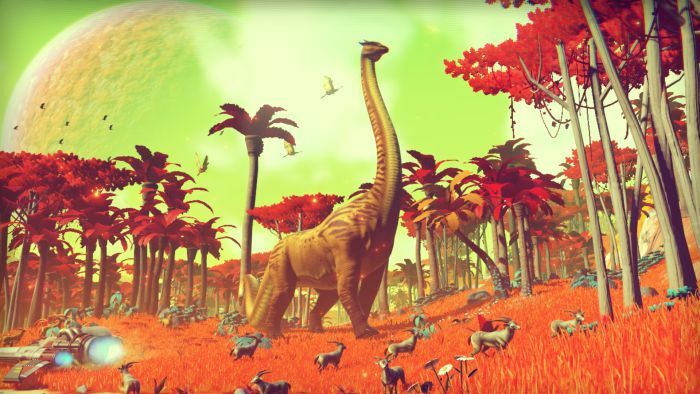 No Man’s Sky has 18 quintillion planets. That’s a lot of planets. Keep in mind that these planets are as big as planets in real-life. It would take you many, many billions of years to visit every planet if you wanted to. Suffice to say, this is an excellent game for you if you happen to be an immortal being. It’s set in a shared universe. Although being a mainly singleplayer experience, all the game’s players will be playing in the same universe. Surely this should allow for multiplayer hijinks? Apparently no, because the world is simply so big, the chance you’ll meet another player is extremely minute. There’s no way to tell if you see another player. Player ships will not be tagged with their usernames or any other identification, making them indistinguishable from AI ships in the universe. If you encounter a ship in space or on a planet, there’s no way to know if it’s AI or a real-world player. You can still play offline. If your internet connection drops out, or is non-existent, you can still play the game offline. The discoveries you make in the game will not be shared, obviously, until the game connects to the server again. 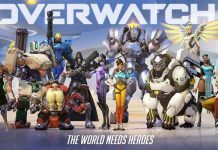 How will the game handle discovery conflicts? My guess is ‘first-come-first-serve’. There is a goal – if you choose to follow it. Although the game will not bombard you with objective notifications, there is a goal behind it all: you’re supposed to get to the core of the galaxy to find out what’s in store for you there. To do this, you’ll need to progressively upgrade your ship after flying about a lot and trading. Your discoveries are marked forever. If you discover a new planet or species, you get to name them. This name will be recorded on the game’s server, and you will be credited with the discovery. If anyone visits the planet you discovered, they will be notified that it was you who discovered it. Get famous! There are intelligent aliens in the game. You will be able to trade with them, as well as communicate with them. Over time, you will also be learning the language that they speak, but there is the possibility of angering them by picking the wrong kind of response. There is no questing in the game. Don’t expect shopkeepers to send you on fetch quests, or contracts to kill monsters. There are no conventional quests or missions in the game, other than the ones you set for yourself. 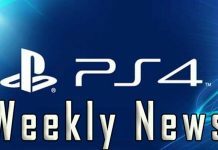 There will be no paid DLC. Or at least, there are no plans for it. 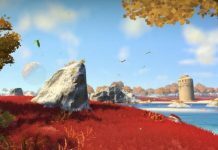 The developers have confirmed that they will continue to update No Man’s Sky after it’s released. What secrets might the updates hold? We’ll have to wait and see. 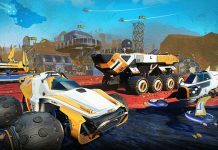 In any case, it seems likely that Hello Games just wants to see the game work as intended first, before tinkering with it further. There is no story. But there is world-building, and lots of lore to uncover. As for the story – that’s entirely for you to build up on your own. In this sense, it’s similar to a lot of survival games, such as DayZ or even Elite: Dangerous. What kind of story will you tell in No Man’s Sky?